Although vinyl’s record-breaking resurgence continues to boss headlines, cassettes have been making their own unexpected revival with sales almost doubling in 2016. 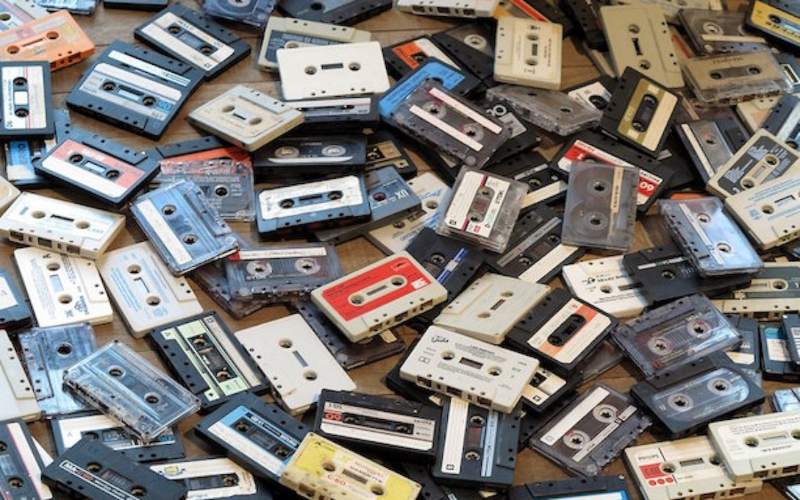 A new study by Nielsen Music, finds that album sales on tape grew by 74% in the US last year. As Billboard reports, 129,000 copies were sold in 2016, up from 74,000 units the year previously. This figure is tiny compared to the 13.1 million vinyl albums sold in 2016 but when you consider that the tape was effectively a dead format (where as vinyl has always commanded an audiophile market), it’s remarkable that the cassette is back. The report attributes the comeback to specialty releases of chart-toppers like Justin Bieber’s Purpose, The Weeknd’s Beauty Behind the Madness, the soundtrack to Star Wars: The Force Awakens and Kanye West’s Yeezus. Many of these titles have been released exclusively through non-traditional music stores – like Urban Outfitters – which together contributed 21 percent of 2016’s tape sales. Reissues of classic albums like Eminem’s The Slim Shady LP (3000 copies sold) and Prince and the Revolution’s Purple Rain (2000 copies sold) were also seen as big drivers. Cassette sales also got a boost from Cassette Store Day, which took place around the world on October 8 and featured a number of exclusive releases.